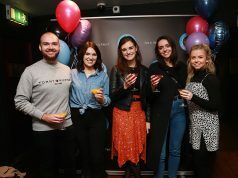 The Communicorp-owned Today FM has launched a major new brand campaign which will see the station heavily promoted across TV, digital, outdoor and print for a two month launch period. With the campaign concept of ‘Oh it’s On’, the TV ad features popular Today FM faces Ian Dempsey, Mario Rosenstock, Dermot & Dave, Al Porter, Matt Cooper and Louise Duffy. The presenters can be seen ‘taking on the trolls’ and challenging negative social media comments. The 40 second TV ad is supported by a large scale nationwide outdoor and digital campaign including VOD, rich media and display ads. 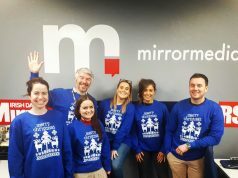 The outdoor campaign, which includes key long term sites in Dublin, Cork and Galway features all 9 presenters on the Today FM day time schedule from 5am to midnight. The brand campaign is supported by a heavy weight media investment and will run during key periods throughout 2017 and 2018. 20 second tactical versions of the brand commercial will air during the summer alongside the 40 second TVC. Shot in Ardmore studios in Wicklow, the TV ad was directed by Irish man Finn Keenan with Dublin production House, Motherland. The campaign was devised and created by Publicis while Mindshare managed the media buying. The music track featured in the TV ad is ‘Show me the Weight’ by Irish band, The Hot Sprockets. The Hot Sprockets appear regularly on the Today FM playlist and the chosen track is set to attract increased radio play as a result of the campaign exposure. 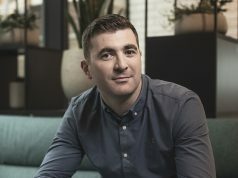 Today FM announced major changes to its schedule in January which saw Dermot & Dave (formerly lunchtime hosts) move to the popular mid morning slot (9am-12pm) while Al Porter was revealed as the stations newest signing. The comedian joined Today FM in February, hosting the lunchtime show (12pm-2.30pm).